The Christmas Season is upon us and it’s the most wonderful time of the year! A season of Hope and Expectation. A Season of Excitement and Wonder. A season of Faith and Believing. A season of Peace and Joy. A season to be Christ-centered! Christmas, is a season to focus on Christ: what He did before, what He is doing now, and to look forward to what He will do in the future. We are, in fact, in an in-between time of prophecy and fulfillment – just as they were that first Christmas so long ago. We too, are looking back and are looking forward to the second coming of Jesus. #Christmas is a season to be #Christ centered. Hebrews 13:8 … Jesus Christ is the same today, yesterday and forever…. 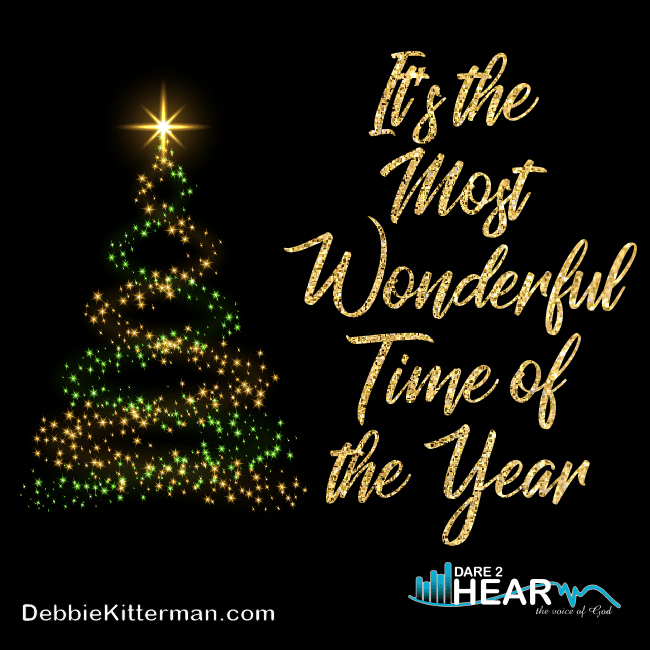 Recently, my husband took me to see the movie, “The Man Who Invented Christmas.” The movie is the story behind Charles Dicken’s book, A Christmas Carol and I loved a glimpse behind the curtain. As a writer, this movie intrigued me about Charles Dickens and his writing process. Of course, I know it’s just a movie (aka fiction based on some facts). I did however, ask some of my fiction writer friends if this kind of creative imagination is how their writing thought process goes, and some agreed. The depiction of his writer’s block moments was something I can totally relate to. But it was his passion and fortitude to write and print the book against all odds. As I watched the movie, there were several parallels that stood out to me. Or more like, several moments, that God whispered to my heart and nudged me to see the parallels to things in daily life, and in His Word. Particularly, how we can miss the symbolism of certain things, if we are not looking for them. Allow #God to whisper to your heart today. Jesus, the Anointed One, is always the same—yesterday, today, and forever (Hebrews 13:8 Passion Translation). We as believers, should keep the spirit of Christ-mas alive all year. We should keep the focus on Christ, and not forget the things He has done, He is doing, and He will do. It’s a time we can pause, meditate, and focus on the Gift God gave us in the form of a baby. Jesus is the reason for the Christmas Season and He is the reason for every day we live and breathe. He is the reason we can have: Hope, Faith, Love, Joy, Peace, Patience, Kindness, goodness, faithfulness, gentleness, self-control, and more…..
Merry beginning of the Christmas Season. Keep the spirit of #CHRISTmas alive all year. My new membership site, d2htrainging.com has official opened, I invite you to check it out today, and develop a deeper relationship with the Lord, as you learn to hear Him speak to your heart. Loved this movie. And I love how you tied lessons of CHRISTmas all year. Thanks for the wealth of Dickens quotes here, Debbie. I love the Christmas Carol, and we watch is every year! You are most welcome Michele! and what a fun tradition of watching the Christmas Carol every year! I’ve been to see The Man who Invented Christmas twice. Kelly wants to see it too so I suppose I’ll get to see it a third time. Actually, I’d like to purchase it when it becomes available as it may be my new favorite Christmas movie. Not only did I like how they showed him wrestling with his character development, something I absolutely do, but I like that the book took us back into his childhood to show the way his life influenced his writing. I’ll bet he found some real breakthrough and freedom as he wrote A Christmas Carol. Thanks for the suggestion of the movie and for the link party! Ahhh Patti – I am so glad you got to see it and twice!!! I knew when I saw it, that I had to recommend it to you and I am so glad you enjoyed it as much as I hoped you would. If I had the time, I would go back and watch it again, but it is on my “DVD’s to buy” list too. I too was delighted to see how his writing was influenced by his past… and I started to write about it for today’s pst, but it was way too long and decided it would be a post for another day. Isn’t it just like God to bring healing to us through our writing, but to also allow our writing to be influenced by the things we have experienced.. both good and bad. Yes, it has, and I hope yours has started off the same as well. What great Dickens quotes. You expressed these great truths beautifully, Debbie! I can’t wait to see the movie now and to rewatch the original. Thank you, Donna! I can’t wait to hear what you think of the new movie. You will have to let me know. Thanks Susan, you are right, I LOVE the holidays, and no, I am NOT a minimalist… 🙂 haven’t even tried to be. Thanks for hosting and have a blessed December! you are welcome Jas! Thanks for linking up and you have a blessed December as well. You are most welcome Marilyn. And thank you for also providing a great place for me to link to several times a week too. I love Dickens, isn’t the comparison of Hebrews 13:8 wonderful? Rebecca, yes it is! It’s so powerful to see how God connects pieces for us to His Word and His truth, and how we can often miss it, if we are paying attention. can’t wait to see that movie – thanks, deb and merry Christmas all year long! Sue – you are most welcome – you will have to tell me what you think once you see it. Merry Christmas, all the year through to you as well. Thank you so much for hosting! I found your link up through the Faith and Friends link up. Amy, WELCOME! I sure hope to have you continue to link up each week. I have never read all the way through his books, (I usually prefer to read the book than watch the movie)….but I do love to watch the dickens inspired movies. Maybe it’s his writing style…hmmm not sure, but yes, they are classics for a reason I suppose. Blessings and thank you for stopping in today! I am very excited to link up each week! Thank you so much for stopping by my link up as well! Awesome Amy! You are a welcome addition indeed and you are most welcome for stopping by yours as well. 🙂 I am always looking to connect with other bloggers and linkups. I want to go see that movie-though the title is a bit off-putting. Charles Dickens certainly did not invent Christmas! Elizabeth – that is exactly what I said too– LOL but I can see why they called it the title they did, it’s a very subtle reference in the beginning of the movie, about how people didn’t really set aside time to celebrate or focus on the Christmas Season at the time he wrote “A Christmas Carol”… But since my husband asked me on a date, I went, but definitely protested the title in advance. Thanks for sharing and let me know what you think if/when you do see it.. I plan to keep this close in my thoughts. We are on the same page this week in remembering the real reason for the Season. Thank you for reminding us to be Christ-centered this Christmas. Also thanks for linking up with us at the #LMMLinkup. Merry Christmas. I love to hear how different people see the Christmas season. I have a difficult time finding it some years what with all the Christmas crazy attached. Last Christmas I was mourning the one year anniversary of my mother’s death at the same time waiting with great anticipation for the arrival of my first grandson and that’s when it hit me. Death dies where life begins. And that’s what Jesus came to do for us. For the first time in a long time the joy of the season became uncluttered and clear. I’ve never read the book, but the quotes you chose to highlight and then tie into a Christ-centered daily life make me want to read it today. Lol. I’ve seen many versions of the movie and love the concept. Like you said, the reason we can celebrate this season is because of Christ, but he doesn’t just want us for the month of December. He desires to be the center of our focus every day because he is calling us closer to Him each moment. Thank you for your special way of tying it all together and sharing.